Milligan said that MHCDS started doing occasional virtual seminars in April 2013 to maintain alumni connections with each other and with the school. The virtual seminars are extracurricular digital conferences where participants can discuss topics of healthcare delivery science, which Robert Shumsky, faculty co-director of MHCDS and Tuck professor, described as a field “to create systems to improve care and to encourage the development of better medical methods,” as opposed to coming up with new ways to treat cancer or viruses like Zika. Current students and alumni connect through online portals for the seminars. Shumsky said the alumni use the exact same platform that they used when they were in the MHCDS program, which helps maintain a familiar environment. Milligan said the seminars reflect alumni interest in working together over time and allows them to receive input from their peers. The number of participants range from 20 to 200 depending on the seminar, Milligan said. 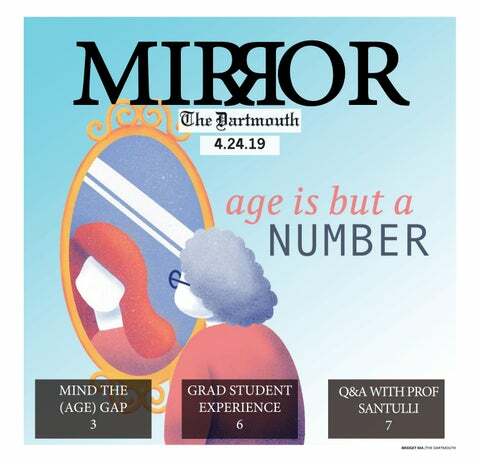 Adrienne Faerber, research project manager at The Dartmouth Institute and a participant in last September’s virtual seminar, said the seminars help share up-to-date information amongst the student and alumni population, and reinforce the network formed among them. She added that the seminars have good participation from both students and alumni, as many of them face the same challenges in their healthcare organizations, such as big changes to healthcare payment and performance measurement. Rakesh Pai and Matthew Twetten, who both participated in last September’s seminar as alumni, said the experience provided a good opportunity to learn from peers. Twetten added that discussion among attendees produced helpful insights into what matters to practicing physicians. Seminars are recorded and made available online for those who cannot attend the live sessions. Pai said the seminar was useful in informing him on how to impact healthcare policy at the state and federal levels. He also liked the ability to learn and engage with others without having to travel. The seminars often allow faculty to present research interests that may not get included in their MHCDS courses. Faerber said the seminars offer rare opportunities to broadcast Dartmouth visitors to an audience across the United States. Past seminar topics have included discussions of leadership within the healthcare delivery system, methods of designing operations to maximize the customers’ experience and applications to healthcare, promotion of healthy behaviors and best practices for creating policy change. Shumsky’s virtual seminar covered quality improvement methods developed in automotive and airline industries. He discussed how those methods could make healthcare safer and more efficient. To illustrate this, he looked into how companies outside of healthcare such as Disney and banks manage the customer’s perception of service. Faerber recalled that Shumsky talked about the long wait times at Disney resorts and how to skip the queue. Shumsky said oftentimes, those involved in the field of healthcare are “embedded in everyday life of treating patients” and that the seminars are designed to help people think more broadly about the healthcare delivery system. Robin Lunge, a Dartmouth alumna who presented at last September’s virtual seminar and directs the Health Care Reform in Vermont’s Agency of Administration, said her virtual seminar also aimed to provide a “broader look” by discussing how to change laws or influence lawmakers. She said the seminar was a “101” on where to even get started in trying to change healthcare policies. Both Shumsky and Lunge said they liked the presenting experience, citing the level of audience engagement and interest as contributing factors. Shumsky also said he enjoyed helping people provide healthcare in a better way. As a participant, he said he had fun reconnecting with his students. An upcoming virtual seminar on May 20 will address the rising price of cancer drugs. Peter Bach, the director of the Center for Health Policy and Outcomes at Memorial Sloan Kettering Cancer Center, will present the seminar, in which he tracks down where cost increases came from and addresses what healthcare professionals can do about the trend.